It would be naïve to think that an employer will automatically offer you the best possible salary as their first offer. Sure, on some occasions a very lucky candidate may find themselves with a salary offer they can’t refuse, but this is a rare thing. Studies show that most employers will actually leave some bargaining room in their initial salary offers, as they fully expect you to ask for more. If you don’t negotiate, you are leaving money on the table. If you move passively through the salary negotiation, there is a good chance you could end up working alongside coworkers who have bargained better and harder — coworkers who are earning $5,000 a year more than you. Ouch. 1. Are You Open to a Salary Discussion? I like this more than the classic query, “Is this salary up for negotiation?” This version is a little less direct and confrontational; upon hearing it, the employer may be less defensive and guarded, more open. Also, this question sets a more relaxed tone for what will be a sensitive conversation. 2. Is There Any Wiggle Room in the Current Salary? You can either lead with this question or use it to follow up if you get a positive response to question No. 1. What’s good about this question is that it may soften the employer’s stance; it implies you are looking for something small – even though you might not be. 3. When Would My Pay Be Reviewed Next? If thee employer can’t give you a clear and precise picture of when your next pay review or raise might be, there’s a chance you could be stuck with your starting salary for some time. In light of this uncertainty about your next raise, you might be justified in wanting to drive a harder bargain with your starting salary. 4. 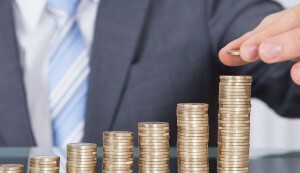 What Was the Average Annual Percentage Raise Last Year? The employer might not be prepared to divulge this figure, but it’s a bonus if the employer is. This figure can give you an idea of the kind of annual raise you might expect. If it’s healthy, you might not need to bargain quite so hard, as a good pay raise could be right around the corner; if it’s not very healthy, you may need to negotiate harder. 5. What Percentage Raise Did Your Highest Performers Enjoy Last Year? Asking this question shows the employer that you associate yourself with winners, and it can also give you an idea of how high performance and success are rewarded at the company. If there’s a strong positive link between performance and reward, you might settle for a lower starting salary, knowing that once you get in and prove yourself, your salary will be boosted. 6. Is There a Bonus Scheme? If so, What Was the Average Payout for Someone of My Grade Last Year? Don’t be taken in by a delicious-sounding potential bonus of 20 percent of salary or more. Concern yourself with the reality: ask for the average actual bonus payout for people in your pay grade last year. If the realities of bonuses turn out to be much lower than the advertised potential of bonuses, you may need to do some harder bargaining. 7. Would You Be Prepared to Build in a Six-Month Raise Based on My Ability to Meet Certain Performance Goals? Save this question for situations where the employer is really not prepared to budge on salary. In such a case, the employer may be prepared to offer a deferred raise subject to future performance as an alternative to a higher starting salary. A deferred raise is not as good as a higher starting salary, but it’s better than nothing. 8. Would You Be Prepared to Increase My Bonus Pot as a Way to Increase My Total Compensation? This can be a backdoor approach to a higher salary. 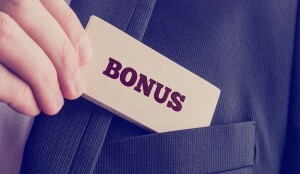 Employers may be more likely to give away bonus potential than actual salary, because bonuses are linked to your performance. Employers see it as a win-win situation: you earn more pay by delivering better results. 9. Would You Be Prepared to Offer a Signing Bonus? This is useful in situations where the company simply can’t afford to pay you more because doing so would bust its pay structure. The employer can give you a one-time golden handshake for signing on the dotted line without disrupting the internal pay structure. If the employer can’t offer you a higher starting salary, you may still be able to negotiate better benefits. When you have them on the ropes, they may be more likely to make concessions in this area. Just to be clear, you don’t need to ask all of these questions when negotiating your salary. See this list as more of a toolkit: it’s about picking and choosing the right questions to help you achieve your objective of a higher starting salary.